Leave behind the traffic and take a deep breath of fresh air as you discover the joys of trail running. 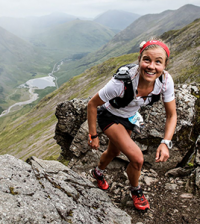 Here are our top ten tips to help you get the most out of your time on the trail. 1. For runners that struggle with overuse injuries like shin splints or knee pain trail running is ideal. Unlike on the road where every foot strike is identical on a trail each is different because of the unstable ground and this is more forgiving on your joints than constant repetition. 2. This same instability forces you to engage muscles in your hips, lower back and core for balance. You’ll soon notice both balance and coordination improve. 3. It keeps you mentally alert too as you need to concentrate on where you are stepping and what obstacles may be in your path. 4. Just being in the open countryside, away from traffic and pollution, is enough to put a smile on your face. 5. Don’t expect to break a PB. Trail running is slower than on tarmac, usually at least 45 seconds slower per mile, more if it’s hilly too. So base your runs on time not distance. 6. When going up hill keep your weight on the balls of your feet and use your arms for extra power. Make sure you run tall. The steeper the hill the shorter your steps should be. 7. When going down hill try to keep your feet under your centre of gravity, taking short, quick steps. Don’t put the breaks on; allow yourself to be loose but in control. 8. You don’t need to give up the concrete completely, but having the variety helps keep things interesting as well as lessen the chance of injuries. Maybe save the trail for weekends when you have more time. 9. It’s safest to trail run with somebody else so try and find a friend who also wants to head off road. 10. 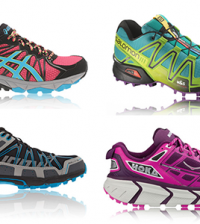 It’s worth investing in a pair of trail specific running shoes.